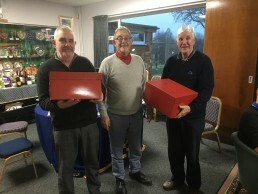 The course was filled this morning, (4th December) for the annual midweek Golf Club Christmas Pairs competition. The shotgun start, organised by the Seniors section was delayed by 30 minutes to let the frost thaw a bit and open to all members to join in. 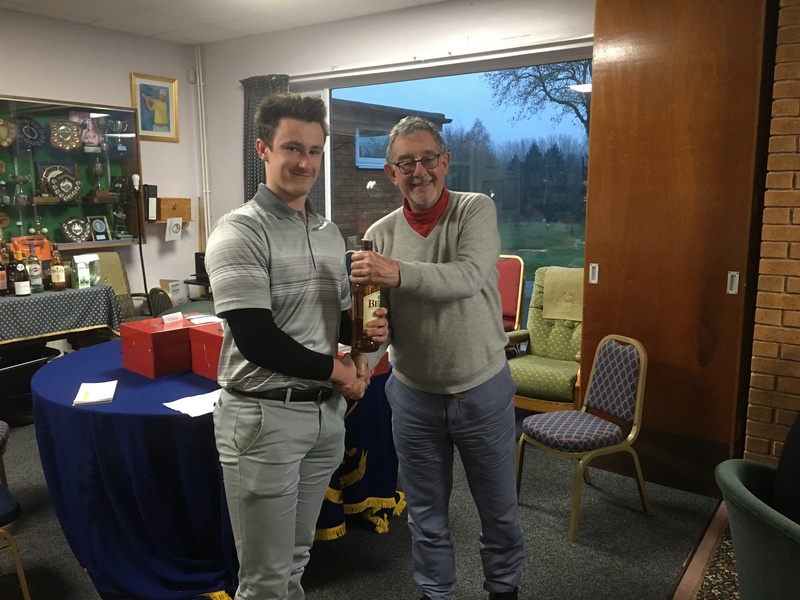 An extra challenge was that it was the first day of using the winter tees and fairway mats, but despite this the course played really well in dry but cool weather. The teams all finished around the same time and congregated back at the clubhouse for an excellent three course Christmas meal. 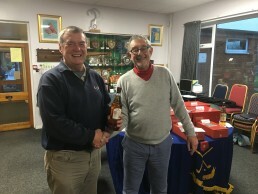 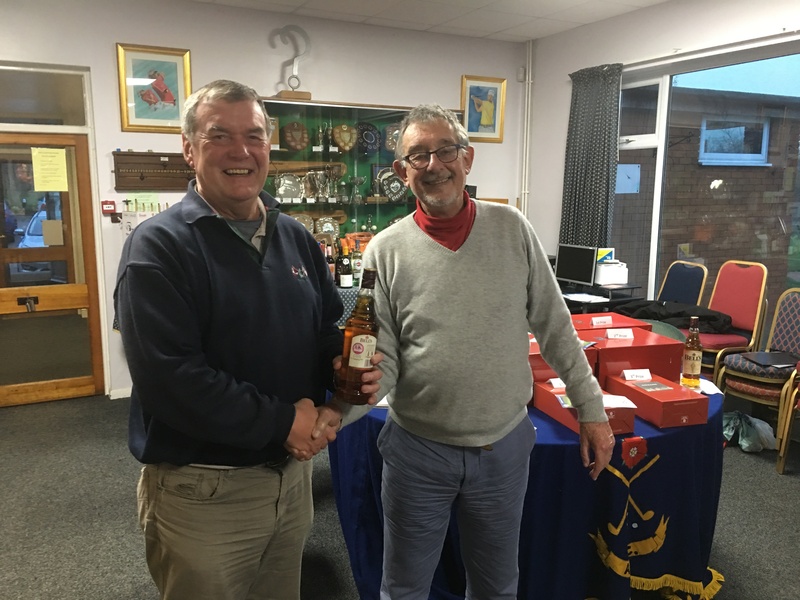 Afterwards the main prizes, wine hampers and spirits, were presented by the Seniors Captain John Carpenter. 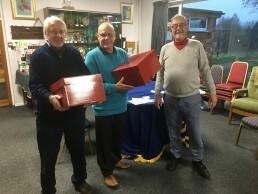 There were three other teams also on 41pts, so a close game all round. 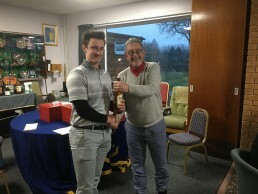 Nearest the Pin winners: Gordon Kells and Jacob Smith. 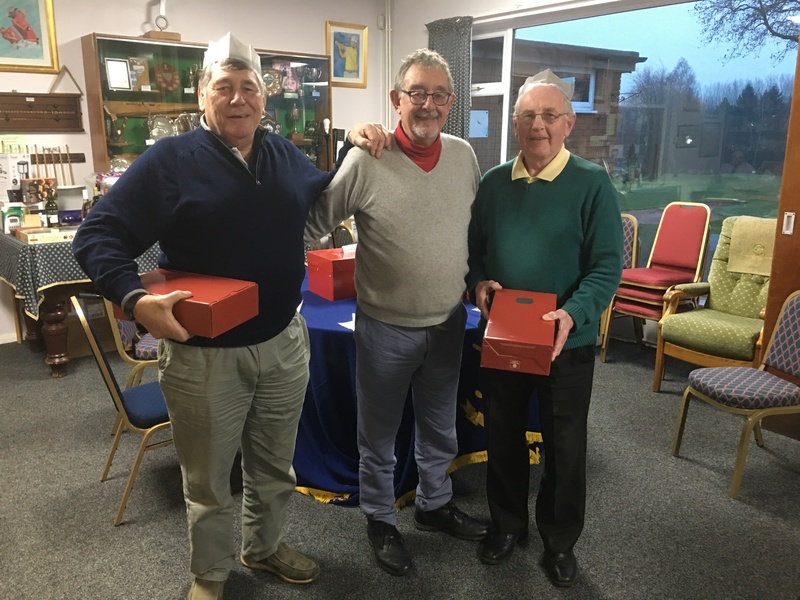 the organisers and caterers for making the event run smoothly as always.